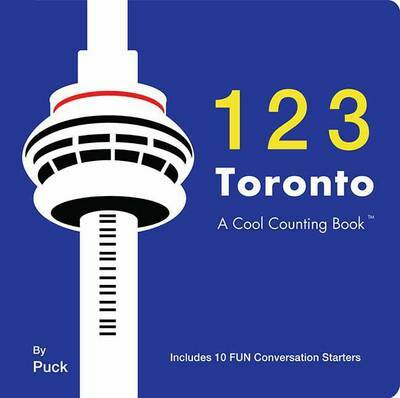 Popular landmarks and attractions of Toronto become exciting tools for helping young readers learn how to count to 10 in this fun board book. From the Royal Ontario Museum and geese to the Hockey Hall of Fame and the iconic maple leaf, it captures the spirit of the Canadian city using detailed design and vivid colors. Parents will find a helpful location page directing them to the landmarks in the book as well as a "Let's Talk" section with conversation starters to initiate a fun discussion with their children about the city and its symbols.